Filmmaker J.P. Sniadecki is scheduled to appear in person. Filmed over three years on China’s railways, The Iron Ministry traces the vast interiors of a country on the move: flesh and metal, clangs and squeals, light and dark, language and gesture. Scores of rail journeys come together into one, capturing the thrills and anxieties of social and technological transformation. 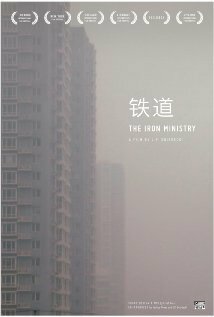 The Iron Ministry immerses audiences in fleeting relationships and uneasy encounters between humans and machines on what will soon be the world’s largest railway network.